Part one of the two part episode created a lot of debate amongst fans after an unidentified attacker shoots Mr Burns leaving him for dead because he stole oil from Springfield Elementary leading to many suspects in the case. Homer hates the new exercise program that has been started at the Nuclear Power Plant and decided to gain 61 pounds in order to be declared disabled so he can work from home. But soon realises that being obese is not great. Homer becomes public enemy number one in the town after seemingly grabbing the babysitter’s bum who sees this behaviour as inappropriate and accuses him of sexual harassment. However, he was only innocently grabbing a gummy bear that she had sat on by mistake. Homer decides to not go to church one Sunday morning and despite Marge’s protests he decides that he is never going again. This quickly attracts the ‘wrath of God’ and the Simpson’s house is set on fire leading to Homer needing saving. With guest starts Leonard Nimoy, David Duchovny and Gillian Anderson this episode serves as a cross over between The Simpsons and The X-Files. Homer believes he has discovered an alien in the woods which leads to Agents Mulder and Scully visiting Springfield. House season 8 was the final one of the show and it had some very good moments and in some ways lived up to expectations. After season 7 finished it took me a very long time to get round to watching the final season because I just really did not enjoy it that much and felt that it was a very good decision to finish the show soon after. So I got my wish and I thought the start was interesting enough seeing House in a completely different environment but still dealing with everything as if it is a puzzle. During the early episodes we were introduced to a new character Dr Jessica Adams and she is very similar to Cameron in the earlier seasons in my opinion because she has problems away from the hospital that she has to try and deal with. 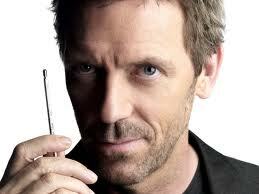 She recognises that House can bring her potential out as a doctor and that is why she is willing to follow him. We are given another new character that joins the team early on in the season and Park was brilliant in my eyes because she had some incredibly funny scenes, especially with Chase. So, along with Taub the team was once again back together and one thing I learned from this season is that the show would not work without House being there full time because when he wasn’t there and it was just the team dealing with the cases they were nowhere near as interesting and even though I loved all of the characters there needed to be something extra and it would get boring without House. This leads into the fact that House was unavailable a lot especially towards the end and a lot of it seemed to be gearing towards a big finish. A problem I had with this final season is it seemed to meander towards the end and barring one or two episodes nothing of note really happened until the last four episodes. Although saying that for me one of the best episodes of the whole show was when the show lacked a little direction and it followed Chase round mostly for the episode because of events of the previous episode and it really did connect with me and it was amazingly put together. However, the only problem with this episode is that it was a fantastic stand alone episode but it was largely forgotten about a few episodes later. Onto the final storyline and I am glad they went the way they did with it because the show was largely about House and Wilson they had been together the most and all of the other characters left at some point and Wilson was always the one left. Us as viewers invested a lot of time in these two characters and their relationship so it was right that they created a brilliant ending for these two and a few moments will bring a tear to your eye. 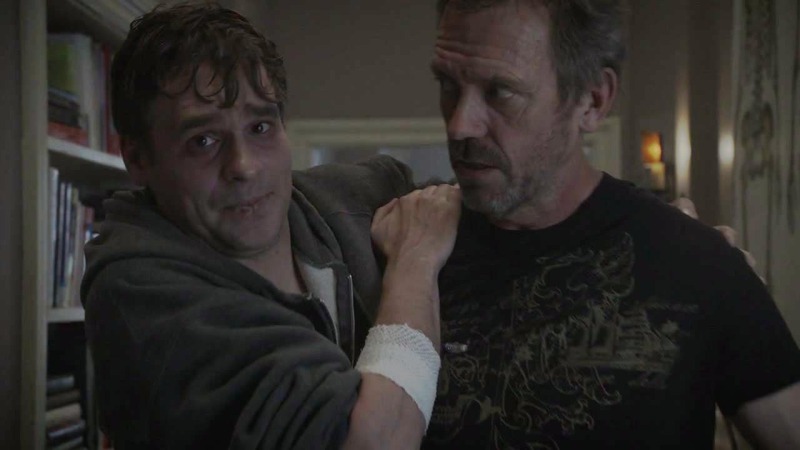 Hugh Laurie and Robert Sean Leonard deserves so much credit for the way they portrayed the characters and is going to go down as one of the best friendships in a TV show ever. The final episode was not that dramatic and did not quite finish on as high a note as I hoped but it still managed to show something different about House and showed us a side to him that we had very rarely seen in 176 episodes. I would give this season an 8 out of 10. Dexter is a fantastic TV show and one that I believe everyone should watch and season 5 is one that can’t be missed. However, saying this it was a little frustrating and there were some negative points and just did not have the best of conclusions, although I may be being a bit harsh because of how brilliant the season 4 ending was. It was on the whole a very watchable season that will make you want to watch the next episode but this is how the last scene of the season was disappointing because it did not lead anywhere, in fact it just seems like a lot of what happened will be swept under the rug and we will just start back where Dexter was at the start of the show, just killing those that deserve to die and no deeper reasons. Onto the season the new characters that were introduced worked well, especially Julia Stiles character Lumen. Her whole story really got me invested in her character and I was wanting her to succeed all through the season and she was a much more effective partner for Dexter. 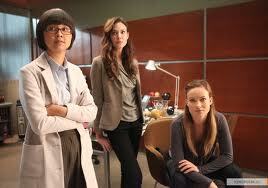 She was a batter fit for Dexter as a girlfriend than Rita and she was certainly a better partner than Miguel Prado. I did not connect with Prado at all but Lumen integrated into Dexter’s life so easily and it did not feel rushed even though it happened in just a few episodes. It made sense that Lumen was only written for one season but there possibly could be a return for her some point down the line. Dexter and Lumen both needed to find redemption and they both shared their ‘Dark Passenger’ with each other and it was just a fantastic relationship once they learned to trust each other. 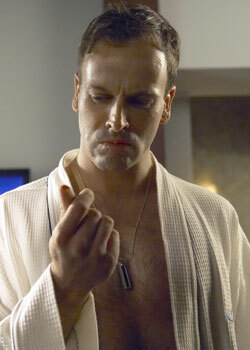 Another new character that was really well written and intrigued me a lot was Jonny Lee Miller’s Jordan Chase. He certainly did play the character brilliantly and seemed like he genuinely wanted to help people or at least transform them in one way or another. He knew how to play a shady character, someone that you weren’t sure of from the very beginning and his catchphrase ‘Take It’ is one that works very well in terms of his job and also how he got people to do exactly what he wanted. A character that didn’t work for me at all was Liddy and his relationship with Quinn was really frustrating. The ending has clearly just been swept under the rug and I really doubt that this story will get any continuation even though there are a lot of questions that Quinn needs to answer for. Another change that I wasn’t sure of was Astor but I do understand why they used her as it kept Rita’s death in the back of the audiences mind so it is not just forgotten. The season seemed like a video game to me because there were a lot of smaller ‘levels’, for example taking out the smaller targets to get to the final level and defeating the main boss. I did love this season but it may not have been the best and for me it gets an 8 out of 10. 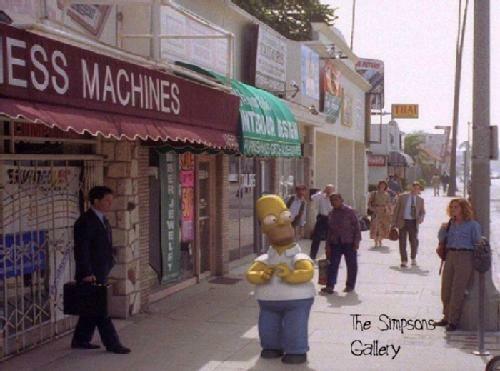 After re-watching The Simpsons Season 7 it made me realise how good the show was and how much it has gone downhill. In this season there are some absolutely classic moments that most Simpsons fans will remember, my personal favourite from the whole season is when Moe is hooked up to the lie detector and after he is told he is free to go, he says he has a hot date, and I am sure you know where it goes from here. This scene is from the second part of ‘Who Shot Mr Burns’ which I did enjoy as an episode and think it kicked off the season pretty well. Season 7 is a very interesting one because it does touch on a lot of sensitive issues and it does it such a way where you get the sense that the writers and creators wanted to make people aware of these sorts of things but also put a comedy spin on them. Each of the main characters gets a different sort of issue. Bart has to deal with losing his soul after selling it to Milhouse and this touches on a lot religious issues. Homer also gets involved in many things such as anti immigrant laws and he doesn’t really understand much of it and maybe this is something that can be seen a lot in America these days and he also had an episode in which he gained weight so he could be called disabled and work from home. Another major issue they touch on is the problem of class and high society, Marge wants to be accepted into higher social circle but this means she has to change her priorities and the rest of the family have to act like something they are not. At the end of the episode they decide to go to Krusty Burger and the message behind the episode is do not try and be something you are not just to fit into a group of people. This is also replicated in the final episode of the season with Lisa trying to change her personality to make friends while the Simpson family are away from home. At the end of the episode it turns out that they liked her because of the things she taught them and this was when she was mostly being herself. However, I am not a massive fan of this episode and thought it was quite a poor episode to end the season on. Another episode that I did not really enjoy was the Treehouse of Horror one and even though it showed Homer in the real world and had one of the better stories with a ‘Nightmare on Elm Street’ parody, it is still one that I would skip. The reason this season is so memorable is because of how many episodes have such great quotes in and it is impossible not to laugh over and over again. I would recommend getting this season to anyone that likes The Simpsons or for someone that doesn’t understand why the show was held in such high regard because they have only seen the newer episodes. Scrubs is one of my all time favourite TV shows and I have recently re-watched the first season. In all these years it certainly hasn’t lost its magic as in my opinion you can’t help but fall in love with the characters as they all have such amazing energy and chemistry on screen together. 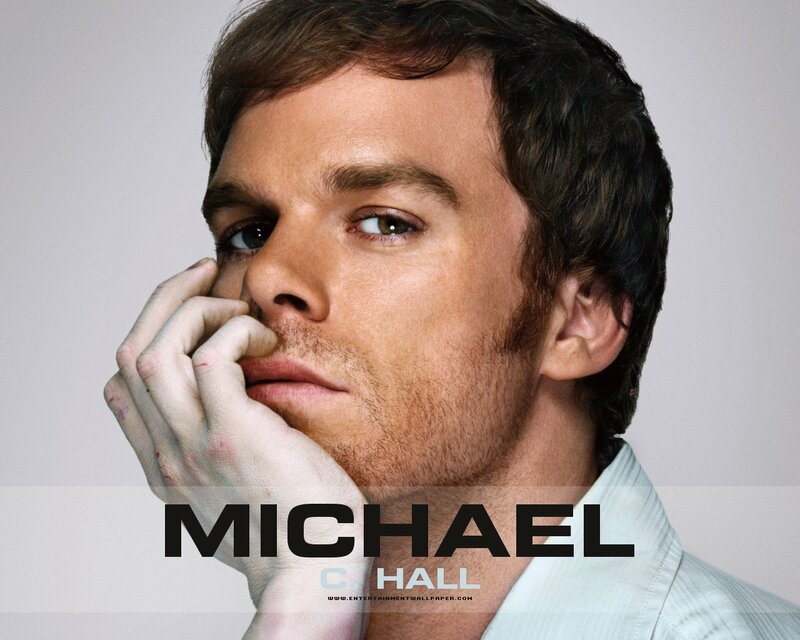 The show follows doctors John Dorian (J.D, or one of his other nicknames Newbie or Bambi or even a random girls name), Turk and Elliot as they begin working at Sacred Heart Hospital. The thing that makes Scrubs so good is the fact that even though it is light hearted and has lots of jokes involved in every episode, there are also a lot of serious moments and questions that each of the three main characters face. Other main characters in the show are Carla, Dr Cox and Dr Kelso and each of these add something extra in helping the main characters develop. Relationships are key and it only takes one or two episodes to buy into them and believe they are real. JD obviously is best friends with Turk, and almost straight away the audience realise that Dr Cox is his mentor and someone who he looks up to, while Carla takes him under his wing for the first few episodes while he is finding his feet. Finally, his relationship with Elliot is a little more complicated and in the episode ‘My Best Friend’s Mistake’ he realises he has a chance to kiss her but has to do it in a certain time before she over thinks the situation and he is stuck in the friend zone. They don’t end up kissing and afterwards they get into relationships with other characters. Turk and Dr Cox’s relationship is very comical as Turk is Carla’s boyfriend and he finds out that Cox likes her and instead of calling him out, he keeps it hidden for almost the whole series. This leads to funny situations like when Cox is interested in a girl Turk is mentoring, he says to Cox ‘No you like Carla’ to which Cox replies with something like ‘Do you even listen to yourself’. The final relationship that is quite interesting is Elliot and Dr Kelso’s because Kelso tries to catch her out and put her down at every opportunity and she doesn’t really help herself at all. Some of my favourite episodes that I think will help you decide whether you like the show are, ‘My Old Lady’ the fourth episode and it was very serious and proved that the show was going to be something special in my opinion and is certainly worth checking out. ‘My Blind Date’ – Is an episode where Dr Cox is trying to accomplish a ‘perfect game’ keeping all of his patients alive for 24 hours and has some very good moments between him and Elliot where she continually sticks her foot in her mouth. This episode shows that Dr Cox is one of the heroes of the show. ‘My Occurrence’ – guest stars Brendan Fraser, Dr Cox’s best friend and is followed up by ‘My Hero’. It shows how desperate JD is for good news and he will try anything to find it. The end of the episode can bring a tear to some people’s eyes and the follow up episode shows a much different side to Dr Cox. ‘My Last Day’ – The final episode ends brilliantly and makes you want to tune into the first episode of the next season with Jordan (Dr Cox’s ex wife) taking Cox’s advice and stirring things up by delivering a few home truths to the regular cast members. I would give this season a 10/10 because it may not have the most laughs and if that is what you are looking for it may not be completely for you but it is certainly one of the most heart warming shows to ever be on TV. I haven’t even mentioned my two favourite things about it yet and that is Dr Cox’s rants, some of them are just brilliant and get across his points perfectly as well as being sarcastic and hilarious. Then there is the Janitor who just pops up at the right times to change the tone of the show as the audience know he is going to torment JD in some way. But in his defence at times JD does things to upset him like tipping over bins and knocking over the Christmas tree, although these things weren’t spiteful they just added fuel to the fire and his hatred grew more and more each episode. Will comedy music become mainstream? 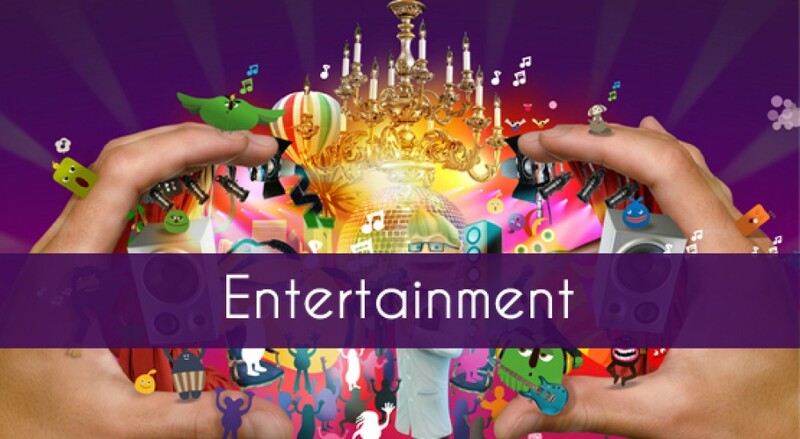 Comedy music can come in many different forms such as parodies of popular songs, novelty songs, comedy rock and comedy hip hop and is just seen as a bit of fun but is it now actually becoming something that a lot of people will listen to? The Midnight Beast seem to have alerted everyone to their music with their TV show and are now starting to make an impact on the ITunes charts as well as getting praise from other artists. The group from London have been getting positive reactions from not only the general public but also the people that they are parodying. ‘Tik Tok Parody’ reached number 90 in the UK and even Ke$ha stated on her website that it was even better than her version. Surely then it is only a matter of time before they bring out a song that will go right near the top of the charts? On YouTube they have over 300,000 subscribers and and a combined 50 million views on their channel which just shows how popular the group are and now with their TV being out, I expect their album which is due out on the 13th August to be a massive success. However, it is easy to say they will be a success and its clear people like their songs but that doesn’t mean people will want to pay for them. If they do need to loom somewhere for inspiration then Weird Al Yankovic is certainly someone that has made a living out of parodying songs and writing his own comedy songs as he has sold over 12 million albums and received four gold records and six platinum records in America. ‘Weird Al’ even reached the top 10 of the Billboard 200 in 2006 with his album ‘Straight Outta Lynwood’ with even the title of his album being a parody of N.W.A’s album ‘Straight Outta Compton’. Even the single ‘White & Nerdy’ (a parody of Ridin Dirty by Chamillionaire) reached number 9 and it just goes to show that comedy can make a mark on the charts. The Lonely Island are probably the most similar to The Midnight Beast in America and they have had even more success some would argue than ‘Weird Al’ as they have collaborated with a lot of artists including T-Pain, Akon, Justin Timberlake, Rihanna and Natalie Portman. These are some huge artists in the world of music, with the exception of Portman who is an actress. 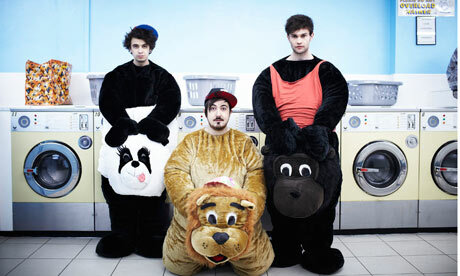 They, like The Midnight Beast first started off on YouTube but they have quickly grown into a well known group all around the world. There are plenty more examples of music being influenced by comedy, for example, Tenacious D use a lot of jokes in their songs and they in my opinion would fit into the bracket of comedy rock along with Bloodhound Gang (although they are less ‘rock’). The list does go on and they are getting huge numbers of hits on YouTube like Flight of the Conchords. That could be part of the problem though people want to have a laugh listening to their songs but do they really want it to come on whilst listening to their iPod on shuffle? My guess would be no and that is why it is difficult just to focus on the music and a lot of the ‘singers’ have to do other things such as TV work or even just be a comedian and use music in their work such as Bo Burnham and Tim Minchin.